As of now, Rodney Ply is living the most disheartening fish story, but hopefully it's not over. The Arkansas resident went bass fishing on Bull Shoals Lake on Feb. 18 with a bait he made. 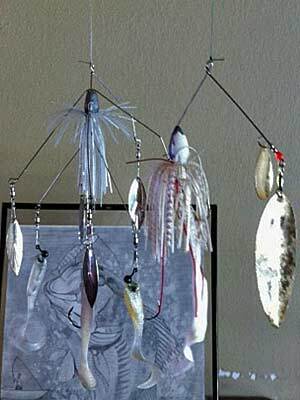 He calls it a Bass Tricker, a combination of sorts between a spinnerbait and an umbrella rig. He fired a cast to the bank and wham! "All of a sudden I had one of the hardest hits I’ve ever had in my life," he told local media. It ended up being a striper that weighed more than 68 pounds – and the 12-year-old world record is 64-8. He rushed it to the bank to get it weighed, and that's when the wheels started to come off a bit. Weeks before, Ply signed up for Mustad Hooks’ "Hook-a-Million" contest, which boils down to four participants winning $100,000 each if they catch a state record fish on a Mustad hook and $1million to the first angler to set a world record. Ply’s fish of a lifetime was potentially worth $1.1 million. To be an Arkansas state record, a fish has to be weighed on certified scales, and someone from Arkansas Game and Fish or the U.S. Fish and Wildlife Service has to witness the weight. The fish was weighed in front of witnesses, but not the folks specified, and the marina scale, the only one they found big enough to weigh the fish, was certified after the fact as accurate. Yet because of that, Arkansas would not certify the state record – even though it apparently recently certified other records under the same, similar or sketchier circumstances. That ended (temporarily) Ply’s road to the state record and Mustad’s $100,000 payout. Rodney also submitted his fish to the International Game Fish Association (IGFA), which is the official keeper of fishing world records. Interestingly, IGFA had no problem with the scale, but it wanted to evaluate the bait. IGFA world record coordinator Jack Vitek said that "99.9 percent of the time," world-record submissions are handled by IGFA staff. "But for this particular situation, with the bait being used, we decided to move it to the rules committee to let them decide on the legalities of it,” he said. “After significant review, they determined it to be a spreader bar arrangement." 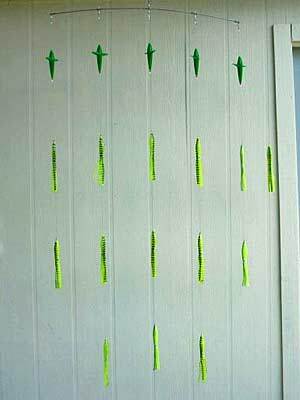 A spreader bar, often used in blue water for billfish, is used to mimic a school of baitfish, like an umbrella rig does. "Most people might think a spreader bar is just for saltwater, but that's not necessarily the case,” Vitek said. “They're used in freshwater, too – umbrella rigs are also considered a spreader bar arrangement." In other words, the IGFA considered Rodney's bait an umbrella-type rig. But that in itself isn't illegal, according to the IGFA: If, when a fish strikes, the line with hooked fish breaks away from the spreader bar, it's world record legal. To recap, Arkansas is OK with the bait, but not OK with the way the fish was weighed, even though it has sanctioned records weighed under similar circumstance in the recent past. So thus far, no $100,000 for Ply for a state record. The IGFA is OK with the way the fish was weighed, but is not OK with the bait. So thus far, no $1 million for Ply for a world record. Even though, as allowed under IGFA rules, Ply has appealed the IGFA ruling (no word from the IGFA whether appeals have ever been successful), the bottom line for him is this: "I'm just sick over it, really." He believes his "lure and fish got caught up in the Alabama rig controversy," he said. "The lure I used is nothing more than a spinnerbait using two hooks and weighing 1.4 ounces. "[IGFA rules state] two-hook lures are legal, and I was told [by the IGFA] my lure did not inhibit the fight of the fish or give me an unfair advantage in landing it, no more than any other lure. And why would you release a hook [as from a spreader bar] from a lure that only weighs 1.4 ounces? It's impossible to release a hook from a lure while casting with one rod and one line. "I think they got so caught up in the controversy of the Alabama rig, they're afraid to do anything with my lure. 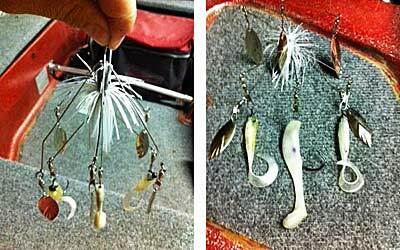 It's a new lure, but it's nothing more than a spinnerbait with two hooks and five blades." Rodney is attempting to work through appeal avenues but isn’t looking for a lawyer just yet. "I don't want to go legal,” he said. “I've never sued anyone in my life. I just want what's right. That's all I wanted out of it, ever. I'd never even dreamed of catching a fish like this in my lifetime, and the way it's turned out has been real disheartening for me. "I caught the record fish and should be in the record books for that record fish. The money ... that's life-changing for me and my family. A million dollars would change anyone's life. I'm not saying I don't need the money because I do. What I'm saying is, money's not everything in life. There are principles out there that have to be held up to a bigger standard." Still, Rodney doesn't appear to be crossing out the legal option, should it come to that. Right now, everything once again rests with the IGFA, this time its executive committee. The review process could take days or months.